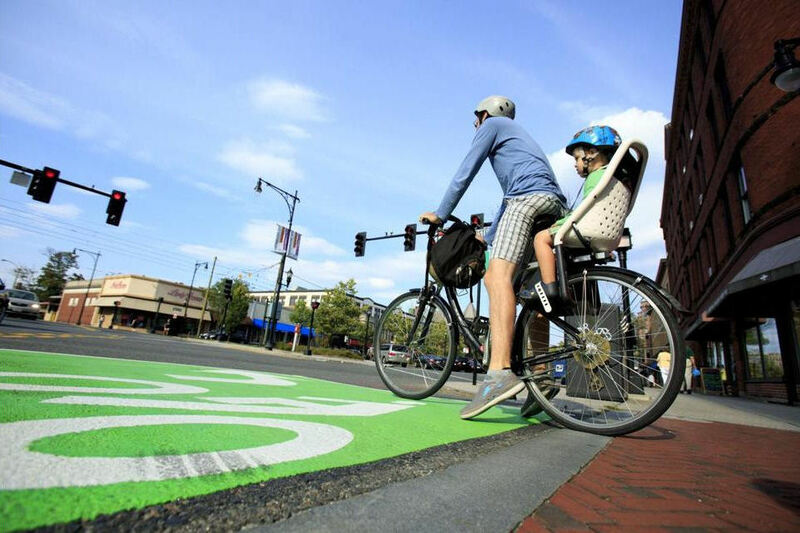 A major improvement for cyclists in Brookline has been approved for a six-month trial period. The trial bike lane will be put in place on a stretch of Beacon Street between Coolidge Corner and Washington Street. The implementation of the bike lane hopes to give cyclists more room on a very popular road. In order to create the expanded bike lane, one traffic lanes along this road will be eliminated. One very important determining factor of this becoming a permanent feature or even staying for the full trial period is what effect this has on the road's traffic. There is a condition within the plan that can end it early if it significantly disrupts car traffic or causes any kind of significant back up. The temporary bike lane will cost $36,000 to construct and will be drawn this summer. Bike racks and bike corrals will also be put in place along the route during the trial. After the trial if the bike path is going to be made permanent it will need to be approved by the Transportation Board and get approval from a public hearing. Traffic studies were conducted concerning the creation of the bike lane and showed the potential of impacts to the traffic at the intersection of Beacon Street and Lancaster Terrace. However, adjustments are being made to the traffic light scheduling to try and avoid these issues. If traffic problems don't become a major disturbance, Brookline residents could soon enjoy this as a permanent feature!